Tired of foggy, yellowed, or dingy headlights? 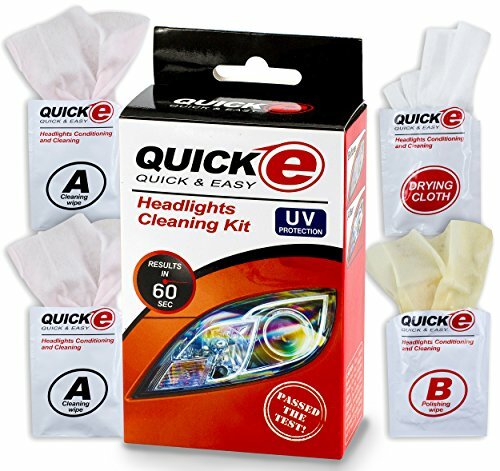 MAKE THEM SHINE WITH THE QUICK-E 3-STEP AUTO HEADLIGHT RESTORATION KIT! 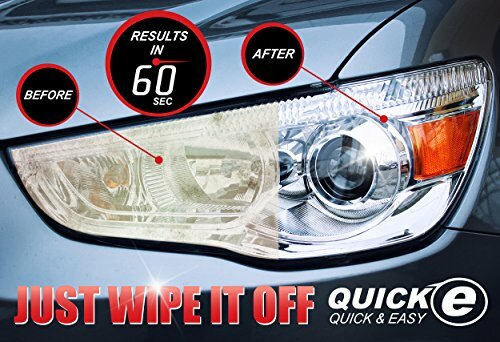 Quick & easy for almost new-looking vehicle headlamps. 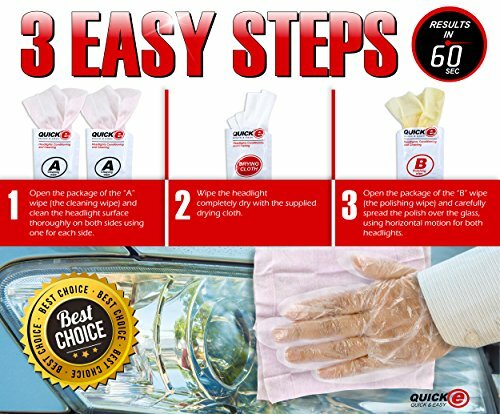 WHAT MAKES THE QUICK-E 3-STEP KIT SPECIAL? 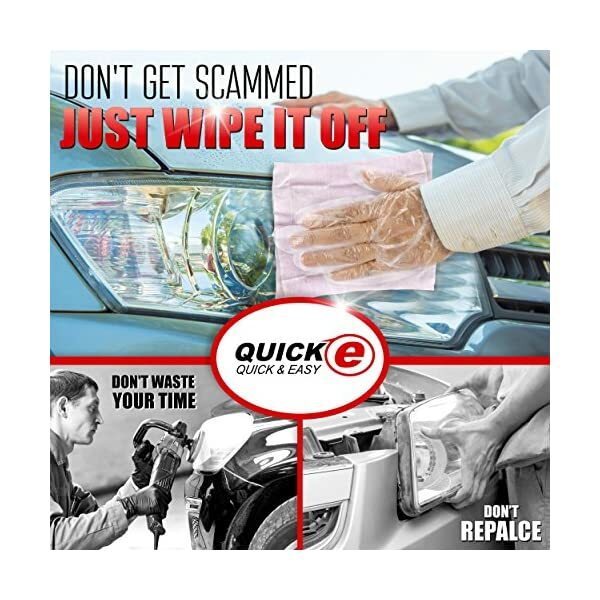 Every time your car is driven, your headlights being sandblasted by grit, pelted with gravel, & spattered by bugs as well as affected by UV light from the sun. 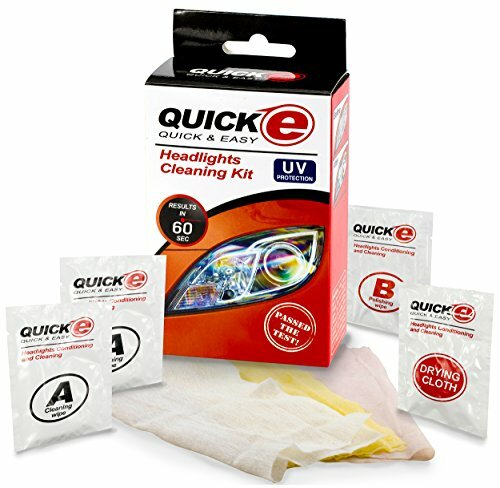 With this easy-to-use kit, renew your headlights in about a minute, making them look & function like new again. 1. 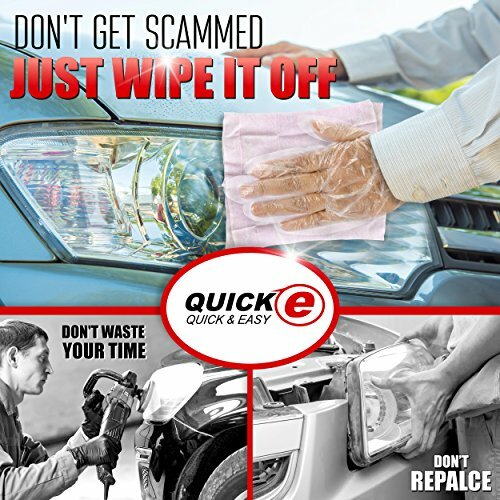 Using the 2 CLEANING CLOTHS, wipe both headlights on your vehicle. 2. Rub completely dry with the DRYING CLOTH. 3. Buff with the POLISHING CLOTH for a nice shine. 100% RISK-FREE GUARANTEE – Contact us if any issues. 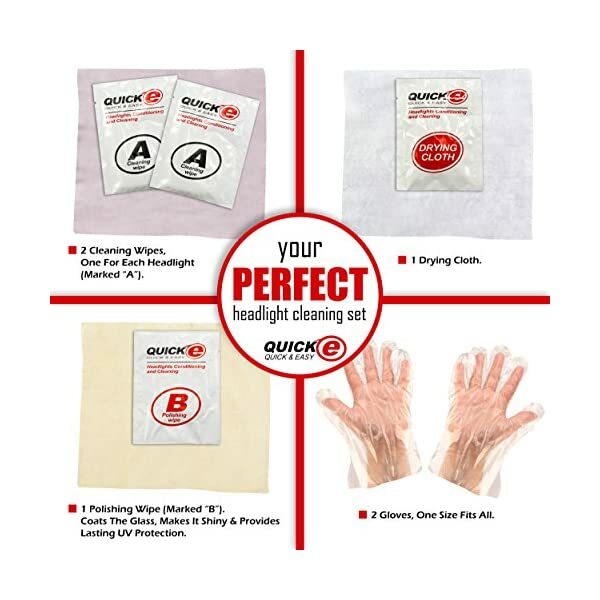 Click the ADD TO CART button & order your QUICK-E 3-STEP AUTO HEADLIGHT RESTORATION KIT today. 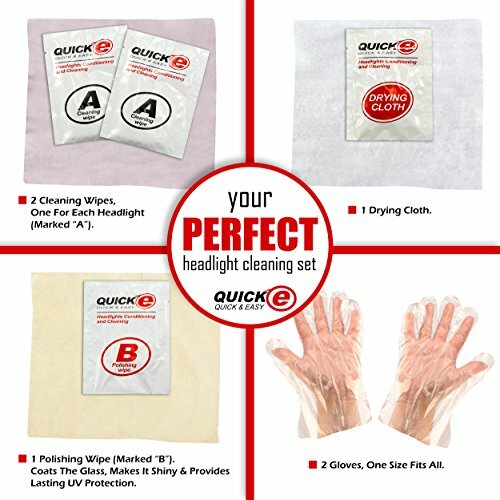 Clean car lights in 3 quick & easy steps!